We are proud to have been shortlisted the ECMOD awards since 2011, in this time we have been lucky enough to win seven awards. Over the years we have learnt many things, and we now think the time is right to share some of our insights into our experience of the evening. This may not apply to those of you already living in the capitol, but for us, a trip to London involves a large dip into the world of public transport. From Norwich, a trip to London takes a couple of hours, although this can take longer dependent on inclement weather, having to shoo donkeys off the line or random lightning strikes (as actually happen on the way home). For the avoidance of stress, it is always best to arrive in London in good time. Arriving at London is normally just the start of the train adventure; next stop is the underground. As someone who grew up assuming the monopoly board was basically live-size and an adequate reflection of the city, the hustle and bustle of commuters coupled with buskers shouting Ed Sheeran songs into your ear is always disorientating. Keep your wits about you and allow a good chunk of time to get anywhere near Fulham. Once safely accommodated in a hotel, there is still the matter of getting to the venue. For this, taxis are ideal. Don’t assume that everyone will automatically know where the Hurlingham club is, arm yourself with a postcode and even be prepared to mime someone playing croquet (this was surprisingly effective). The staff at the venue were patient, attentive and unfailing polite. On my way in, a very nice man holding a tray of champagne said ‘bow tie slightly to the left, sir’, which I’m assuming was his way of say ‘good grief man, you look like you’ve crawled here through a hedge’. Much appreciated. The food was, as you’d expect, very good. 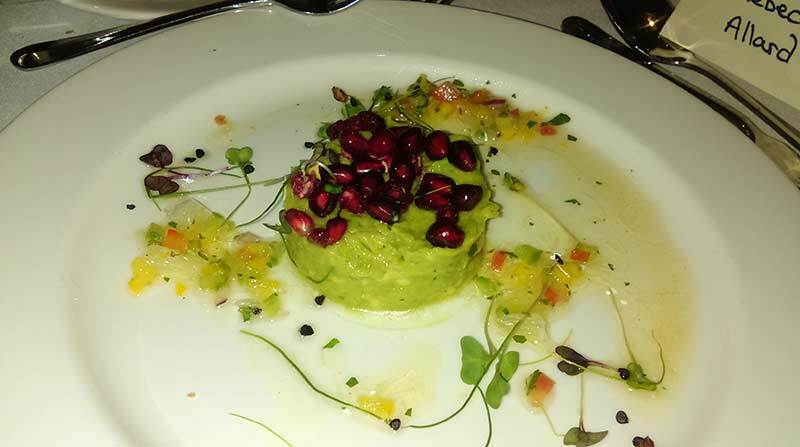 Starters arrived and when a beautifully presented dish of avocado mousse and pomegranate seeds, confusion was caused on our table by the subsequent arrival of a slice of bread. Some assumed this meant we were supposed to combine these time items into an ad-hoc guacamole sandwich, whilst the majority ate them separately. We await the comment of etiquette experts to tell us who was right. 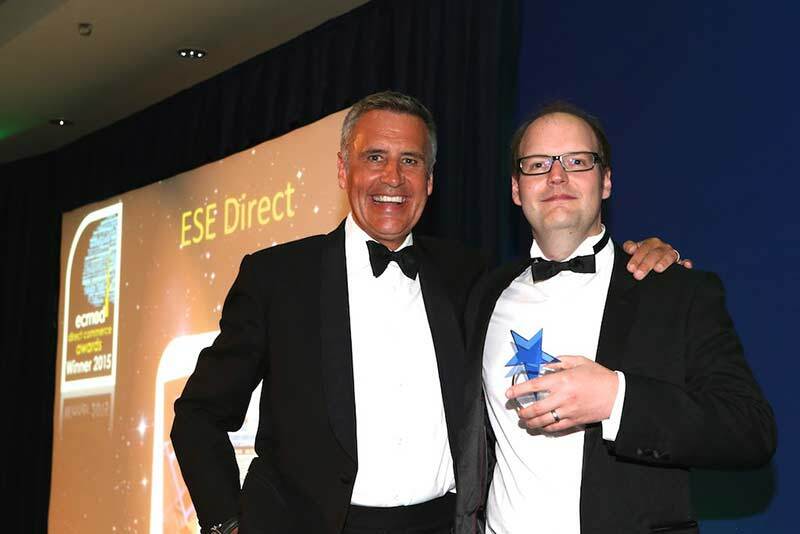 The evening was hosted by Sky’s own Dermot Murnaghan, so accepting the award involved shaking hands with him and not going in for a full-on hug and freaking him out. No one wants to be unable to attend next year’s award for fear of breaching a restraining order. Although you are not called upon to say anything when you receive an award on stage, it was a surprise to be ushered backstage and asked to talk into a video camera. As someone who turns into a babbling idiot at the slightest hint of public speaking, I was relieved when they waved at me to stop talking before I stopped making sense completely. So there you have it, anyone tempted to enter next year (we strongly recommend it) can use this handy guide to ensure they make the best out of the experience. Thanks again to ECMOD for inviting us back and we really hope to be there again next year.